Email marketing is an important tool to help you increase your brand awareness and loyalty. It is particularly important to make sure that your emails provoke a preferable response in clients. The benefit of using marketing emails is that you can send them to both current customers and prospective customers. In this way, you can work on both gaining new leads and maintain current customers. Doing so makes your business more profitable and effective. The use of email marketing has increased over the past 10 years. In the UK it has increased from 18.215 in 2009 to 25.44% in 2017. These mistakes can be easily avoided if careful attention is placed when creating your marketing emails. It is important to focus on each part of your email and each part can have an immense effect on the open rates. Here are some tips to guide you. Following these tips will help you to make sure that all the emails you send to prospective clients are not in vain. Your subject line should be exceptional. It is the first thing that customers will see when they open your email. If it is not engaging it will cause customers to not open your emails in future. You can make your subject line more engaging by making it casual and personal. Making it personal makes customers want to open it as they can relate to the message you are trying to pass. Make it fun so that customers will want to continue reading your email. Use language that is easy to understand. Do not use equations in your subject lines and make sure that they are kept short. Writing interesting and engaging content should be a priority. This is what will keep customers interested each time you send them an email. Boring content is a sign that you are not serious or dedicated to what you are doing. Using links in your content helps you to prove your credibility. Breaking down the list of recipients will help you to create effective emails. You can break the list of recipients based on products or previous contact. This helps you to create emails that are more suited to each group of recipients, increasing the opening rates. Each group should consist of similar recipients. Spam filters are becoming more advanced which means it is easier for your emails to directed towards spam. Make sure your emails do not look like spam. You can do this by not using bold letters in the subject line, not using words that show you are advertising, and make sure an email doesn’t appear like a brochure. Do not use a format that includes several fonts or various colors as this can prove to be confusing for anyone opening your emails. Limit the use of special characters such as italics, bold letters, and underlining. Nowadays, there are more people who use their mobile phones to surf the internet. Most people prefer opening emails from mobile devices as this is more convenient for them. That’s why every email you send should be mobile friendly. An email that cannot be opened from a mobile device has low chances of being opened. So, make sure that mobile users are not left out. Including mobile users increases engagement and conversion rates as well. It can be difficult at first to predict the perfect time to send emails. However, through some tests, you can eventually determine the best time to send your customers emails. Most people automatically know that an email sent from a company has content about advertising. If an email is seen as having advertising content, customers may not open it or worse even delete it immediately. To avoid this, you should send emails from a person within your company. This gives customers a personalized treatment which causes them to open the email. The most important thing is to make sure that your emails stay personalized and professional. Adding your email signature is the best way to make sure that customers identify your emails. A business email signature says a lot about your business. So, you should make sure you put a lot of effort when creating one with NEWOLDSTAMP. You can create an email signature from templates that company provides. Also, such companies can help you create a custom email signature that would boost the open rate of your emails. Working on your marketing emails will undoubtedly raise the open rates. Email marketing is an effective way of improving the number of customers you have it should be included in your advertising strategy. 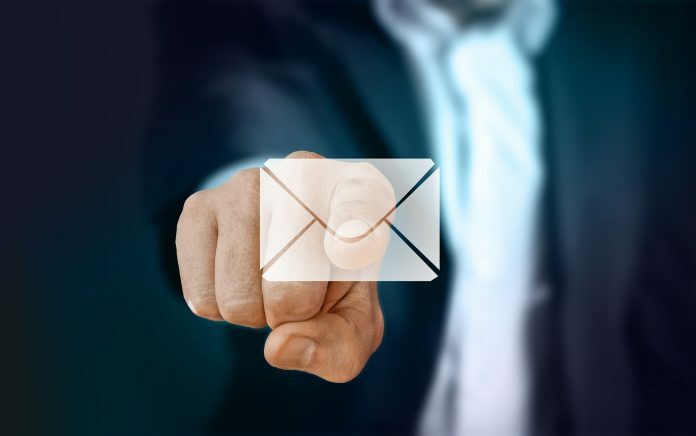 Email marketing, when used appropriately, is packed with a lot of great advantages that will lead to the growth of your business. Previous articleWhat are the Main Technologies behind Contactless Payments? Next articleEaseUS Data Recovery Wizard Review – How to Recover Deleted Files?